No More Babies for Napier? From the middle of December 2013, Napier’s population will cease to grow organically. 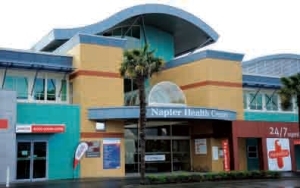 You may be “Napier bred”, but you won’t be “Napier born” – because Napier Medical Centre’s maternity wing is closing. If you are expecting a Christmas baby and were wanting to have your birth in Napier – even if your name is Mary and your partner’s name is Joseph, there will be no room at the Inn. For those of you who follow my blog, you will know this is of particular interest to me, as my wife and I are expecting our first child very soon. It looks like our baby may be one of the last to be born in a Napier maternity facility. I had heard a murmuring from a fellow expectant parent and went investigating. HBDHB staff would, naturally, not reveal anything to a mere member of the public like me, but a medical source confirmed to me that the maternity side of the Napier Health Centre would close around the second week of December. That’s pretty short notice and even worse news if you are well into your pregnancy and wanting to have your child in Napier like generations before. If you want our gorgeous hometown on your child’s birth certificate, you may have to look at having a home birth. The closure of Napier’s maternity wing, and indeed the whole Napier Health Centre has been bandied around for some time. Now it looks like they are becoming, at least in part, a reality. It’s claimed more Hawke’s Bay women have been choosing to have their children at Ata Rangi (Hastings / Hawke’s Bay Hospital’s maternity unit). But it appears not many people know Napier actually had its own maternity facility! With over 2000 births per year in Hawke’s Bay (that’s five births every day of the year), we surely need all the beds and maternity services we can get. So why close one? Hastings’ maternity unit often runs out of room and will move Napier mums and their newborn babies to the Napier Health Centre to free up space. So what happens without this back up come January? With so many births, new mums we have talked to who gave birth to in Hastings say they often felt shunted around and put through the system as fast as economically possible. A woman we attended antenatal classes with was looking at having her baby at the Napier Medical Centre, as her mother had experienced very short labours – between half an hour and 15 minutes from “whoa to go” (or from “go to ‘Waaaah’!” technically) and there was concern she would have the same issue. 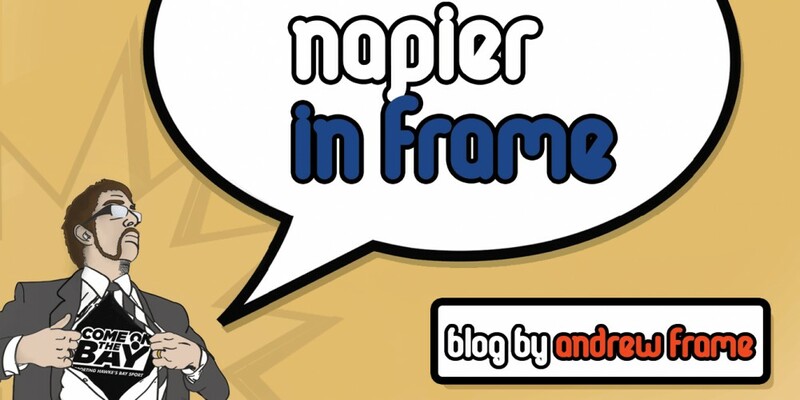 Without facilities in Napier, what will happen in cases like hers? A birth certificate that reads “Born: Meeanee Over-bridge”? Is it acceptable? HELL NO! So what can we do? Protest! Make some noise! Vent your spleen! Our local MPs, Chris Tremain and Craig Foss constantly claim to be “Backing the Bay”, but seem timid and sycophantic to the will of their party masters on big, local issues (can you say “Napier-Gisborne rail line”, “Amalgamation”, or “Ruataniwha Dam”?) Email or ring them. Call them out and challenge them to actually do something and “back the Bay’s babies” on this one. Chris was born in Napier, by the way, so why can’t your child be? Minister of Health, Tony Ryall may even be worth a tune-up. If the Right side of the political ledger fails to do anything (and I’m not holding my breath), Stuart Nash seems to have Napier’s best interests at heart and a determination to see them through. Write, text or ring the Hawke’s Bay Today (who I hoped would have been onto this sooner), or the Dominion Post / Hawke’s Bay Sun (email: news@dompost.co.nz Hastings ph: 870-7802; Napier: ph 834-3700) – Where local news fails, national attention can work wonders! This is utterly unacceptable and should not be allowed to happen! This is not parochialism – it’s civic pride! This entry was posted in Hawke's Bay, Media, Opinion, Politics, Social Media, Writing and tagged Hastings, Hawke's Bay, Media, Napier, Opinion, Politics, Twitter, Writing, Youth by Andrew Frame. Bookmark the permalink. It’s amazing what is kept out of the news. Thank you for highlighting the issue Andrew. I am pregnant with my second child and due on the 13th Dec. I planned to have this baby in Napier as I did with my first but with the looming closure of Napier Maternity my plans have been thrown into disarray. My midwife has told me as much as she knows, but is unable to give me a confirmed date. I am extremely annoyed at the lack of public disclosure about this and can not believe the DHB is able to close the unit as soon as 16th Dec. I do not want to give birth in Hastings in a hospital and am now looking at a home birth but with an 18 month old at home it is easier said than done. I will be ringing the DHB tomorrow to try to get a confirmed closure date.